Lets talk about primers. One of the key steps to my makeup routine. Using a primer before you apply foundation will help the foundation go on seamlessly, even and will keep your foundation staying put for a flawless look. Primers for oily skin will help control your natural oils throughout the day, keeping your foundation matte with limited touch up. Primers for pores will always help make the appearance of them smaller, leaving your skin looking flawless and smooth with less imperfections. 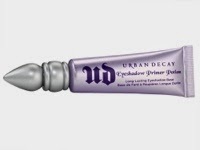 Eye shadow primers are perfect for eye makeup looks that will last you till the am. looking the eye shadows into place, keeping the pigments vibrant without creasing. I trust eye shadow primers every time I apply eye shadow, day or night. These are my favorite primers at the moment! Check them out!